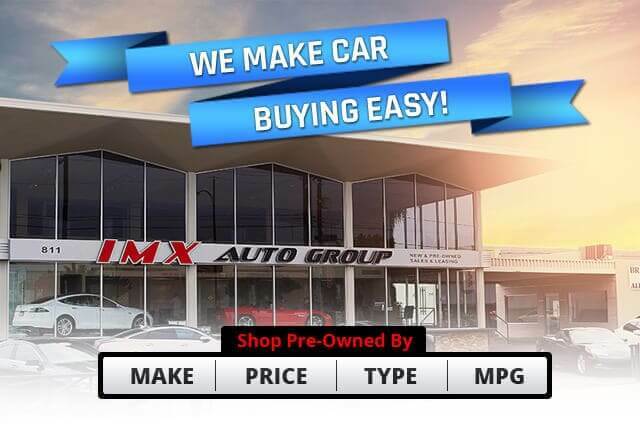 The purchaser may return an eligible pre-owned vehicle to the IMX Auto Dealership where vehicle was purchased within the first three days of purchase or 250 miles, whichever comes first, (date of purchase is day 1) for any reason, if not completely satisfied with the purchase. The purchaser will receive a refund if returning the vehicle under the 3-day or 250 miles money back guarantee guidelines (subject to refund provisions below). 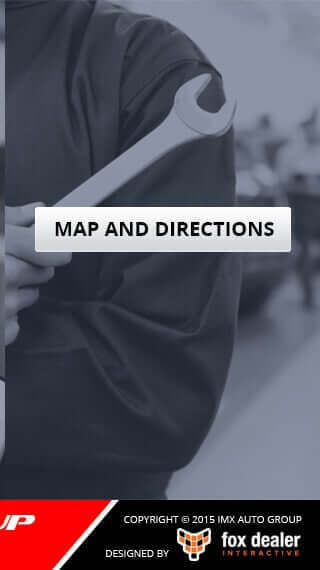 The purchaser may trade-in an eligible pre-owned vehicle to the IMX Auto Dealership where vehicle was purchased within 7 days of purchase (date of purchase is day 1) or 500 miles, whichever comes first, if not completely satisfied with the purchase. The purchaser will receive credit for the following amounts paid towards the original pre-owned vehicle returned (subject to refund provisions below). Any amounts paid towards the principal balance of the finance agreement. All retail pre-owned vehicles are eligible for the 3 day money back guarantee and are eligible to be traded within the first 7 calendar days (date of purchase is day 1) or 500 miles after delivery, whichever comes first (subject to the exclusions below). High performance vehicles, such as, but not limited to, Mercedes AMG, G, S, SL vehicles, BMW M, 5,6,7 Vehicles, Audi A6, A8, S vehicles, Lexus F vehicles, Chevrolet Corvettes, Ford Shelby, Raptor All Range Rovers. Ultra luxury vehicles, such as, but not limited to, Bentley, Maybach, and Rolls Royce. Exotic vehicles, such as, but not limited to, Ferrari, Lamborghini, Aston Martin, Maserati and Porsche. Specialty and/or off road vehicles, such as motorcycles, scooters all terrain vehicles and boats. Fleet vehicles and/or wholesale vehicles. Vehicles used for livery, taxi, delivery service, or commercial use. Customers or family members of customers who previously returned vehicles under these programs Vehicles acquired in exchange under these programs Vehicles that have had any aftermarket accessories installed, (either at IMX Auto dealership or by the purchaser or by others). All lifted or modified vehicles. All new vehicle purchases. Vehicles priced over $29,999.00, vehicles over six years old or over 75,000 miles. Return: Vehicle MUST be returned to the General Manager of the IMX Auto Dealership where vehicle was purchased in the exact condition in which it was delivered, without any damage or excessive wear and tear, by the original purchaser and be accompanied by all the original documentation, registration, license and delivery paperwork. Vehicle Inspection: Any vehicle returned under this program will be inspected by the General Manager of the dealership. The vehicle will be inspected for eligibility, damage and excessive wear and tear. If it is determined that a non-warranty repair has been performed, the vehicle is not eligible to be returned. 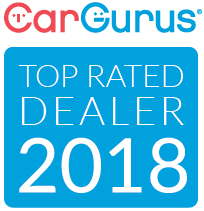 Costs Eligible for Refund: Customers must pay any interest and principal balances and/or any other amounts due in order to provide a free and clear title of the vehicle to the dealership. Vehicle insurance, life insurance, disability insurance and/or any related expenses are all separate transactions from the vehicle purchase and are the sole responsibility of the customer. 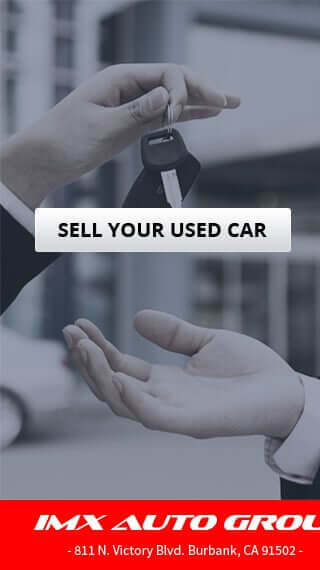 Valuation of "Trade-In" Vehicle: If the Customer traded a vehicle as part of the used vehicle purchase, the "agreed upon trade-in or actual cash value" will be used in determining the refund value to be applied to the refund or another IMX Auto vehicle. If the Customer had a loan on the vehicle traded-in, that amount will be subtracted from the "agreed upon trade-in or actual cash value" to determine the net amount due to the Customer for his trade. NOTE: If the loan balance exceeds the "agreed upon trade-in or actual cash value", this will create a negative equity situation and the client will be responsible for paying IMX Auto that amount, and it will be factored into the calculation of the total refund or the trade-in amount on another IMX Auto vehicle. All refunds will be paid and finalized in fourteen business days after returning the vehicle.